The Standing Stone: Rathurles, Tower House, Co. Tipperary. Rathurles, Tower House, Co. Tipperary. Location – OS: R 906 801 (map 59) just off the R445. The castle is roughly 25m N of the Ollatrim River and S of a rath and a medieval church. Also located on the Ollatrim River is a hall house at Lisbunny. 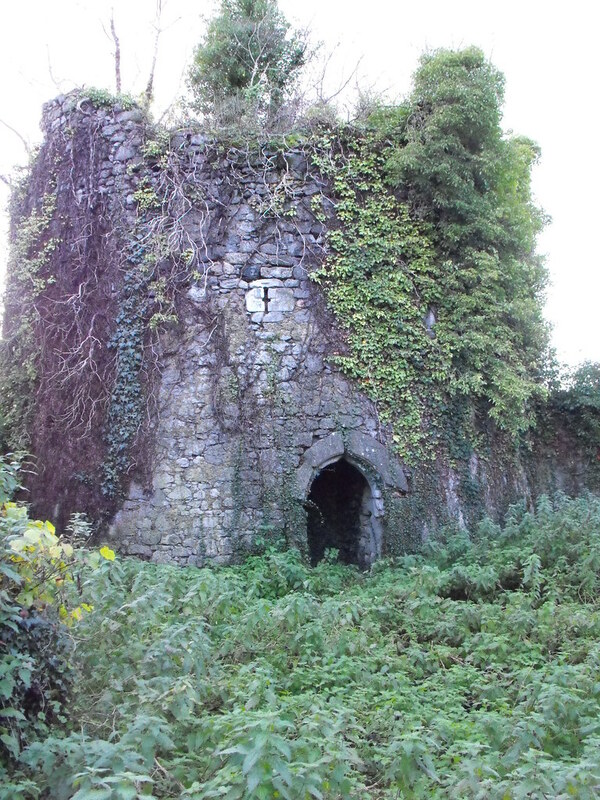 Description and History – I was glad to get this castle as it was the only site in the Rathurles area that I was yet to visit. I had intended to go there when visiting the rath and church nearby but the daylight ran out. That nearly happened again when I finally got there at the end of a very long day. I want to go back to get some better photographs in better light and get inside it. Unfortunately the nearby river had flooded recently and the ground around the castle was simply too boggy. 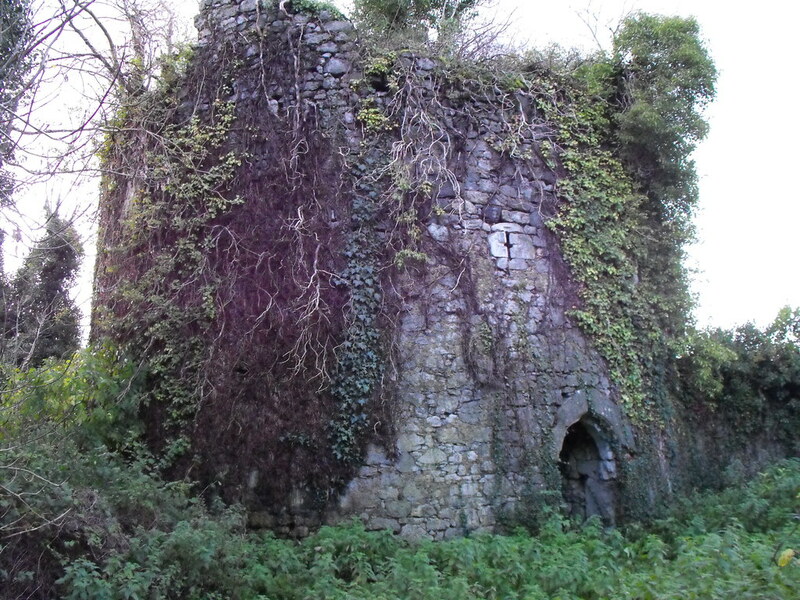 Originally the castle was three storeys high but now only survives to the first floor and is slowly disappearing into the undergrowth. The pointed doorway is finely carved. Few other architectural features are now visible. Although I couldn’t get inside and it is extremely overgrown I can’t help but like this site. There was something about being there in the fading light that made the castle appear mysterious. Difficulty – Easy enough to find but it is in the floodplain of the river so can be a little boggy. It is also located down a private track way so don’t take your car down there. I made that mistake and the track just beyond the castle is blocked by an electric fence and I had to reverse a mile back to the road and with the flooding on either side of me there was little room for error. For more tower houses, click here.